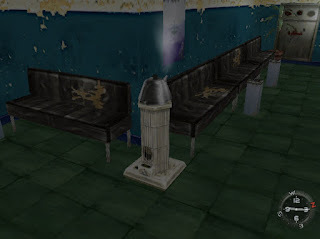 Today's post is about the heating methods that can be observed in Shenmue at the Hazuki residence and elsewhere. 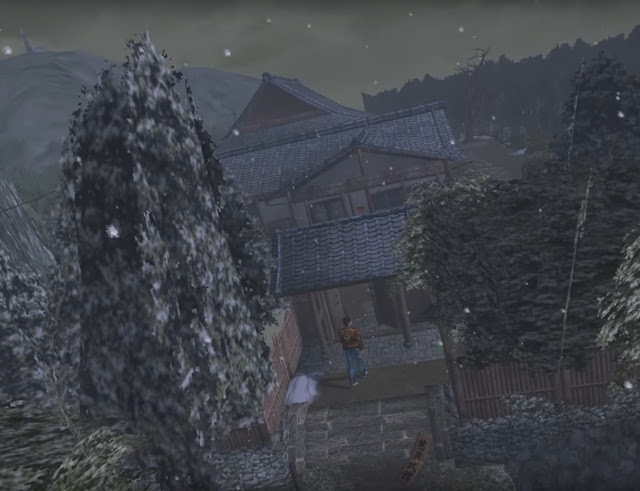 The story of Shenmue opens on November 29, 1986 to a wintry scene in the hamlet of Yamanose where Ryo lives. Snowflakes drift down from an overcast sky, the roofs and trees are dusted with snow and snowdrifts have started to appear at the sides of the roads and pathways. November 29, 1986: the snow will be turning to rain later in the day. From this one's impression might be that Yokosuka experiences severe winters, but in real life it has a fairly mild climate, with temperatures rarely falling below freezing point. Snowfall is seen typically on only a few days each winter. Historical weather record for November 29: somewhat warmer than portrayed in the game's intro. The data reveals that the low temperature for the day was actually 6.5 degrees Celsius (44 degrees Farenheit) with no precipitation and well above freezing, so it likely that the appearance of snow in the game on this particular day was included as a plot point and for dramatic effect. Nevertheless, 1986 was in an age before modern-day heating devices such as heat pumps, central heating and so on. 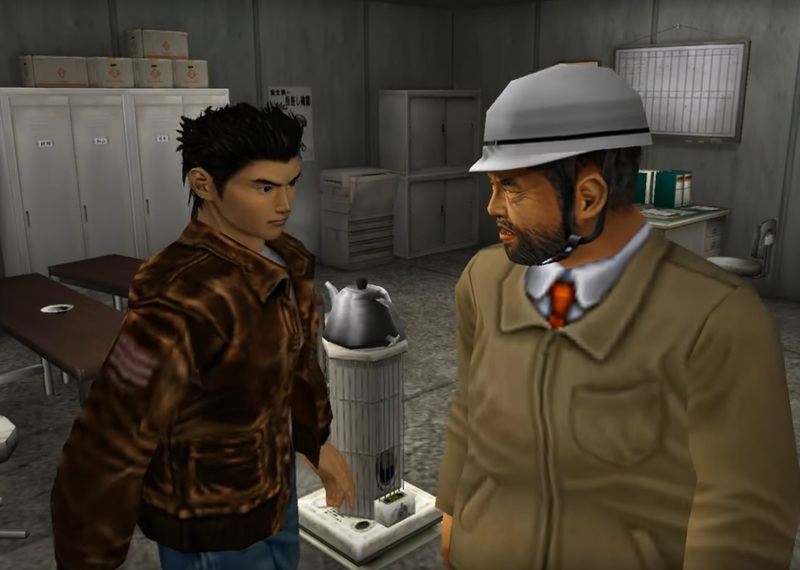 Shenmue depicts some of the ways people warded off the cold during winter. A traditional Japanese-style house like that of the Hazuki family's is very poor at retaining heat. Insulation is lacking, single-pane glass is fitted in the windows, internal walls are thin and various design features focus on air circulation rather than heat retention. One example of such a feature is ranma, ornate carved wooden grills that sit at the top of an internal wall between two rooms. The gaps carved in the wood allow air and light through, but as a result warm air easily dissipates. A ranma can be seen in the Hazuki household by directing Ryo's gaze toward the ceiling, between the room with the TV and the one next door where Ine-san sleeps. 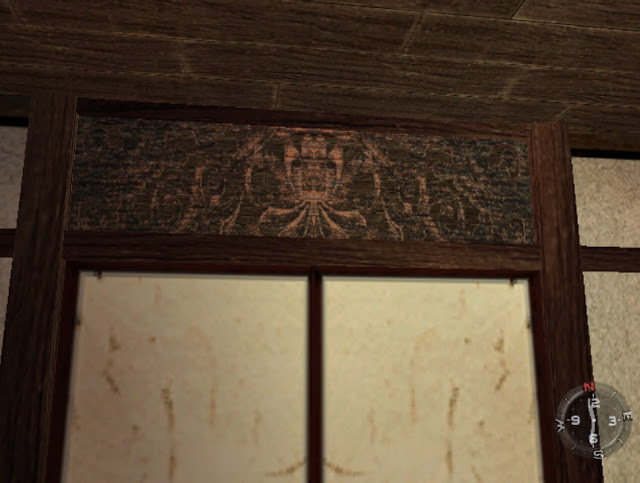 A traditional carved wooden grill between Ine-san's room and the TV room. This won't help the heating bill. Example of carving detail on a ranma. A kotatsu is the name of a low table that has an electric heating element underneath it connected to a power cord which is plugged into the wall outlet (in the old days hot coals were used instead as the heat source). 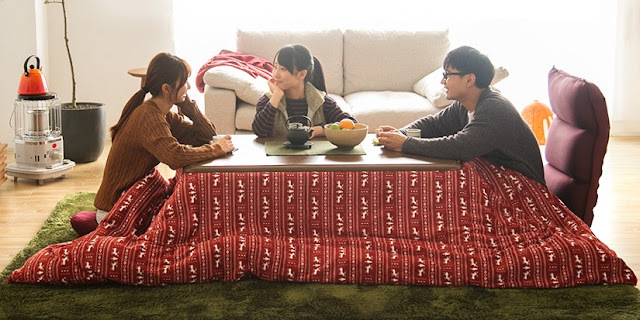 Image from an online Japanese store selling kotatsu. 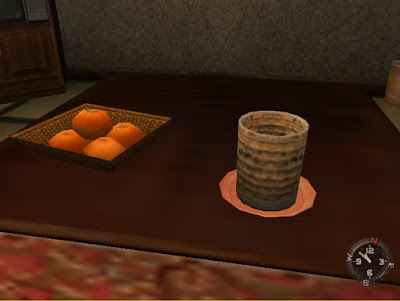 It will be immediately familiar to Shenmue fans as one can be found in the tatami room with the television at Ryo's house (and of course familiar to those who have spent time living in Japan). 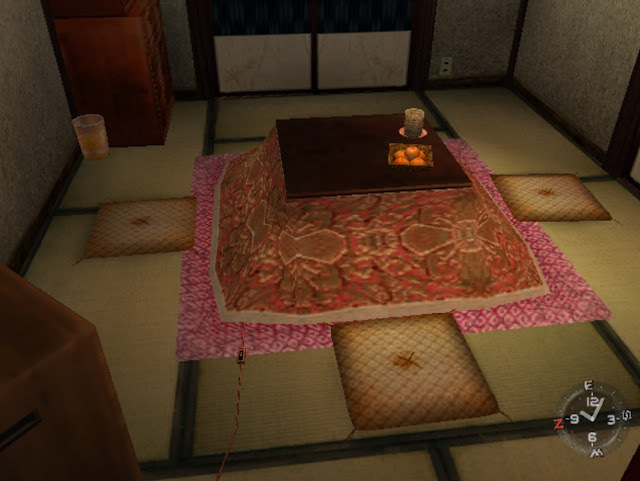 The kotatsu at Ryo's house. Note the power cord and switch at the bottom left. It usually sits on a soft mat, and a separate blanket covers all sides of the table to keep the warm air trapped underneath. Cushions or low seats are used to sit on, with one's legs extended under the blanket. (From personal experience, it is hard to sit this way for extended periods of time without some kind of back support!). There is a heat control and thermostat which automatically regulates the temperature. Sitting around the kotatsu with one's legs in the warmth, watching TV while sipping green tea or eating mandarin oranges is a somewhat nostalgic image of how winter time is spent at a Japanese home. Even though the air in the room itself may remain cold, people can stay warm inside the kotatsu. are part of the kotatsu experience. During warmer months, the blanket is removed and stored away, and the kotatsu used as a straight-forward low table. Since the heat is confined to small space beneath the table, kotatsu are quite energy efficient. A water-filled kettle is sometimes placed on top, as can be seen in the game, for boiling water or for adding humidity to the air. 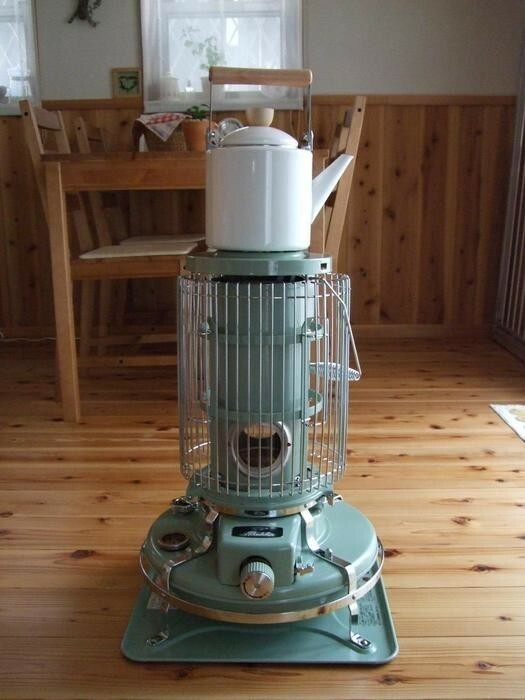 Pillar-style kerosene heater: the real thing. This type of heater does have several disadvantages. It can be rather messy in general: kerosene spillage when refilling the tank, kerosene and smoke fumes and so on. More significantly, there is a risk of carbon monoxide poisoning unless the room is properly ventilated, and so they must not be left on overnight. 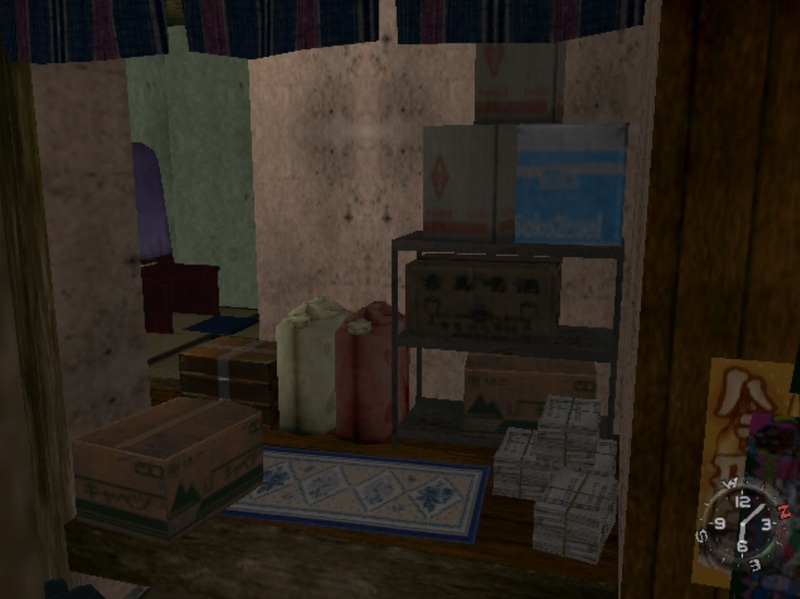 Fortunately, in the case of a traditionally-built house like Ryo's, ventilation should not be a problem! They usually have an anti-earthquake mechanism which cuts the flame if the heater falls over. 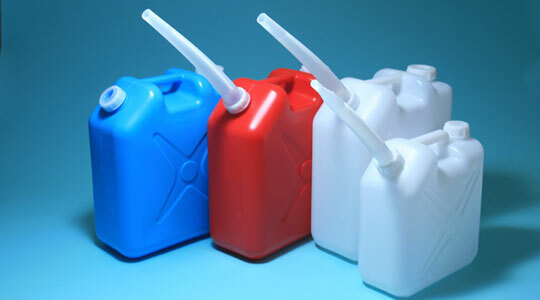 Fuel containers in Japan come in three standard colors. Although these days insulation and double-glazing are found in better-built modern homes and better-quality apartment buildings, these features are still far from being ubiquitous in Japan. Cheaper apartment buildings in particular often omit these features to save building costs. Central heating is not common in Japanese homes, so people typically still rely on space heaters and similar devices to heat individual rooms rather than the entire house: air conditioners/heat pumps, underfloor heating, electric carpets, heated toilet seats etc. And while the popularity of kerosene heaters has dropped greatly in favor of cleaner heating methods, kotatsu are still widely used. Still plenty of things for us fans to talk about in the year or so before III comes along! Great article Switch :), I never knew about any of those things! Very interesting! 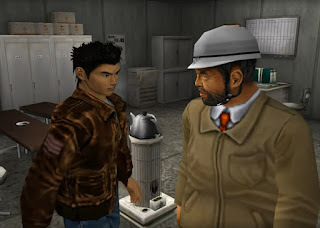 I've just played through Shenmue and Shenmue II (again) but my next play through will be your Shenmue Undub when it's released where I'll be looking out for these and the other little details from your other articles!